Suzuki unveiled this interesting automotive work of art at the Tokyo Motor Show 2005. 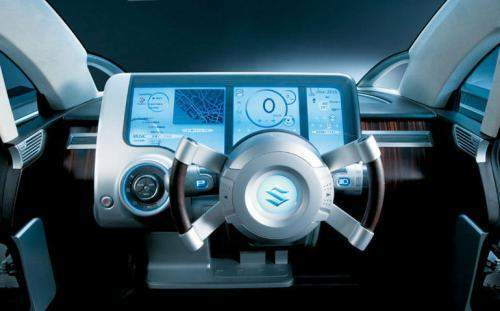 This concept car is called the Suzuki IONIS. 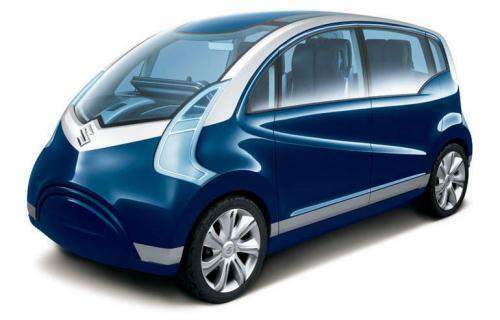 The Suzuki IONIS is a fuel-cell powered electric motor car. 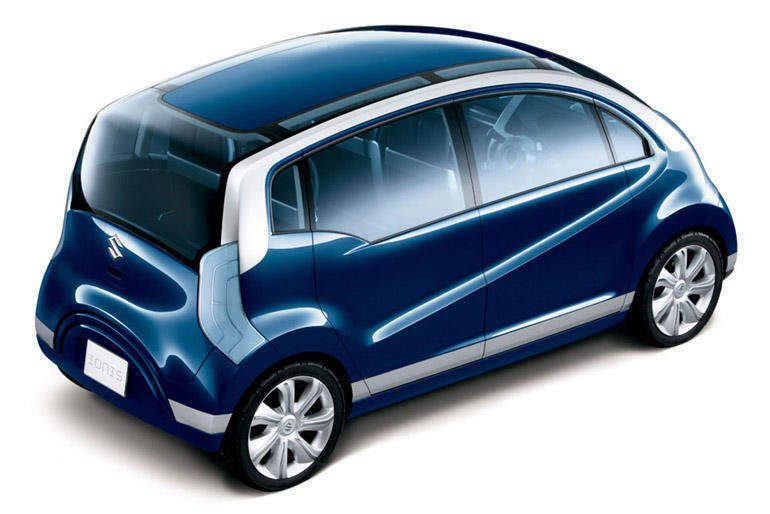 It was designed in collaboration with the Musashino Art University. The car uses steering-by-wire, drive-by-wire and brake-by-wire, which allows the driver’s seat to be positioned anywhere, not just limited in a fixed position. 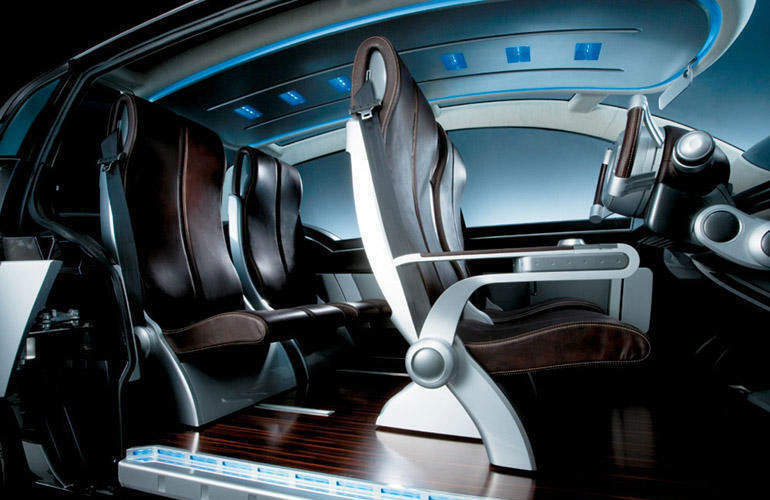 This way, multiple internal seat layout configuration is possible.